We can take care of the entire process of obtaining your e tourist visa india in Paddington, London while you wait. Simply book an appointment with us below and we will go through the entire process including submitting your Indian visa tourist application with a priority appointment at the VFS office, with guaranteed approval* of your e tourist visa india. Best of all, our full service for india visa application is £39.99. The whole process will be completed in less than 30 minutes (one on one time) and we will complete your entire visa application in this time. if you are applying for longer than 2 months, you will have to submit the forms we complete for you to VFS and we will manage the entire booking for you. Our service includes printed copies of your application and appointment letter. For any help please call us on 0207 193 9293 and we will call you back. Foreign nationals or UK Citizens (British travellers) that are looking to travel to India will now be able to apply for an India tourist visa under the e-visa scheme. To enter into India you will obviously firstly require a valid passport but will also require a valid India tourist visa or valid Indian business visa. The Indian tourist visa under the e-visa scheme has now been extended to British travelers that are looking to travel for tourism, recreation, sight seeing, or a casual visit to meet friends or relatives. This also extends to travelers looking to make a short duration medical treatment or for a casual business visit. The scheme has enabled you to get an India visa without having the need to send your passport to the Indian Embassy and Reload Internet is able to assist you with all of the form filling required to your Indian e-tourist visa help approved on your first application attempt. Simply make a booking below and visit us in our Paddington Branch. How long will the e tourist visa india be valid for? Indian Tourist Visas will generally be valid for 6 months, 12 months, 5 years and Indian Visas are even valid for 10 years depending on the citizenship of the applicant and the type of Indian Visa required. The Indian Visa Application form that we submit will ask you to fill in the Duration of Visa (in Months) and it is important to note that the number of months on the application form will have to be the same for the number of months that is available for the type of visa. Interestingly, we have heard of cases where the Indian Visa, OCI, Passport and Consular services centre adjusted the time up or down to the nearest validity option and charged full fees. We have also heard of cases where the Indian Visa, OCI, Passport and Consular services centre has rejected the applicant asked them to reapply and kept the fee! So, when applying for an Indian Visa, always ensure that you select the right visa period for your Indian Visa application. There is a form called the Global Reservation Form, and we recommend completing the Global Reservation Form first, and selecting the same number of months on both forms. After you have answered all of the questions you will be able to preview your Indian visa application. Please review this thoroughly, as once you submit you will not be able to edit the form in any way and if a correction is needed it will be necessary to fill out a whole new application form. 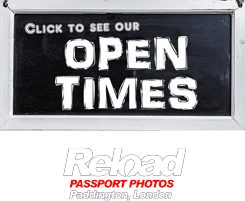 Reload Internet in Paddington, will ensure that you have reviewed all points, and make sure it is submitted correctly. Your indian tourist visa application will be two pages – so we will make sure that you print both pages and most important is to ensure the barcode is clearly visible which is located at the the bottom of the first page of the Indian Visa application. Please make sure that you sign both pages. One area you must sign is underneath the photo on the first page and please sign the second page which is nearer the bottom. Your Indian Visa Application will be rejected if you do not sign both pages. We will ensure that all details on the Passport details will be be exactly as it appears on the passport – Not checking this will result in failure. In regards to Date of Expiry, Reload Internet recommends that your passport should be valid for at least 6 months after the date you intend to leave India. If the passport will expire within one year, we would recommend renewing a US or British passport before applying for an Indian Visa. Please bear in mind that all information in this section will be completed relating to your parents, even if your parents have passed. Reload Internet will select the correct type of Indian Visa that matches your requirements. The Indian consulate is strict and upon review may ask you the activities planned in India and not answering this correctly may delay the process or require a new Indian visa application to be submitted. Reload Internet will ensure that we ask you the right questions. After we have provided indian visa help and the indian visa application form with you, we will ensure that we write down the Application ID number for your records and the portal will allow you to verify the details entered on the visa application form. Reload Internet will ask you to review every question and answer on this page. If any corrections are needed we will be very happy to assist you in making the changes on this page. We will ask you to re-review, and once you give us the OK we will submit it on your behalf. If a correction is needed after this point, it will not be possible and we will have to recreate a new application form for you. Why use Reload Internet for your Indian Tourist Visa help and support? VFS Global Paddington, Indian Visa, OCI, Passport and Consular services centre will not accept an application that has any incorrect information –plain and simple. They are very strict with regulation. * Guaranteed approval relates to mistakes we make on the form filling aspect of the application and we can not reasonably take responsibility for your particular circumstances, example a criminal record which leads to your decline. With Reload Internet, we have the experience and the Know-how to ensure that your Indian Visa is submitted in the right way, fist time around. If you would like any help or assistance, please email us or call us on 02072624111.